Nova Scotia – the second densely populated province of Canada, situated in the Atlantic region. Sadly, the country is facing low birth rate and aging population which are the major problems in Canada to which Immigration of Canada is finding the best possible solution. The province has rich natural resources the major ones are the Jurassic-age fossils which attracted scientists and paleontologists. The province strictly prohibits removal of fossils without permits. Mining and Fishing are the major industries that attract huge foreign work force from all corners of the world. Though the province has rich natural resources, companies across all the sectors of economy apply for foreign workers. 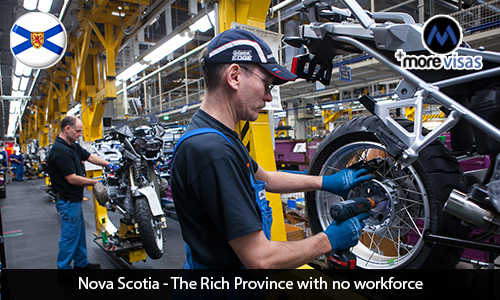 The problem with Nova Scotia is the lack of local man-power to fill in the vacancies. The employers largely depend on foreign nationals who are interested to work in Canada. Canada Immigration plays a crucial role in bringing those individuals through streamlined Nova Scotia Provincial Nominee Program. Nova Scotia takes part in the Federal Canada Express Entry Scheme; it is province’s prerogative to take part in the federal program. In addition to this the whole Atlantic Canada will have an immigration policy to attract more number of skilled immigrants as it is not densely populated. Canada Immigration is working seriously to bring numerous changes for easy processing and simplifying the immigration system. All the provinces have provincial Nominee Programs and take part in Canada Express Entry apart from Quebec province.